Even with the recent bout of wintry weather, Spring will arrive in a few weeks. This is the time of year where people venture out into the yard and start preparing the garden for flowers, vegetables, and other produce. With a greenhouse, however, it can be spring all year round. Using glass panels for the sides and roof of the structure, greenhouses give plants all the natural light it needs while protecting them from the elements. A properly outfitted greenhouse allows gardeners to grow whatever they want, whenever they want, in a controlled climate. As last month proved, a winter can be tough on outdoor structures. Wind, snow, ice, and a lot of rain can pound the structure day after day. 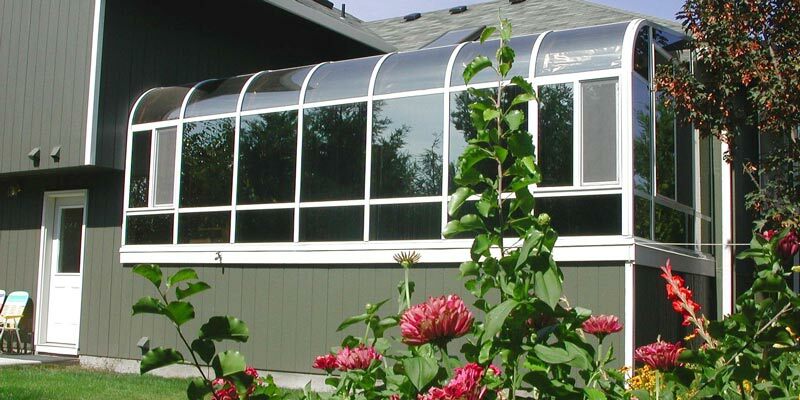 Global Solarium greenhouses are built to last, using thermally broken frames that can withstand whatever our climate offers. Planning a greenhouse is more than just four walls and a roof, however. Depending on what will be grown, the proper amount of heating, cooling, and irrigation must be in place. After the infrastructure is in place, shelving, storage, and work areas are put in place. Large pots, fertilizer, nutrients and whatever else needed to keep the plants full and lush can be placed below counters for easy access. Ornate greenhouses can even incorporate sinks and faucets to water new starts or for cleaning up. A greenhouse is a great way to get a jump on the outdoor growing season, allowing you to work on establishing strong starts before being transplanted to the yard. A greenhouse doesn’t have to be a large, stand alone structure, though. For many, a greenhouse attached near the kitchen allows the gourmet of the family to pick fresh herbs for dinner without leaving the comfort of the home. Tomatoes, leafy greens, and more can be grown as part of a well-rounded diet. With a Global Solarium greenhouse, you can keep your thumb green all year long. For more information on greenhouses and what works best for you, contact Global Solariums today.